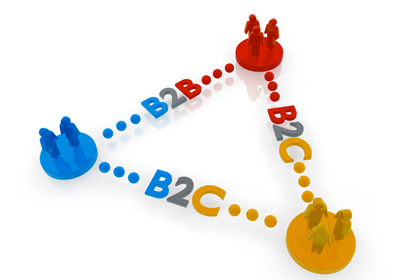 Business to Consumer (B2C) means the sale of products from businesses to the end-users (consumers). B2C is a platform that also includes online shopping of products and information search etc., through the medium of the internet. Nowadays, people are more and more heading towards online shopping etc and thus B2C portals are picking up in the race. We are a premier B2C portal development company specializing in the development of B2C websites. We are dedicated to deliver B2C portal development services that outshine your requirements with brilliance and customized to best-fit your business objectives. We have a team of experts, who develop B2C portal designs with proven track record and tons of experience to corroborate their talent. Our major means is professionalism, modernization and inventiveness. We supply highest standard of quality, cost-effective solutions even with the most complex B2C portal constraints. We pride ourselves for delivering the products on time which helps us to develop long term relationships mutually with our clients. We always keep track of your customer's preferences, and proceed strategically to engage your business with the right consumers. This is utmost important element during the development of a B2C website and web portal.